Eject and Close CD/ DVD Tray by Mouse! Dear Friends! Today I will share a small soft with you. Soft means 22 KB. And its zipped size is just 8 KB! This software is made for handling your CD/ DVD tray. You can open your CD/ DVD tray by pressing the button or by ejecting option from My Computer. But you can't close it by mouse click from My Computer. 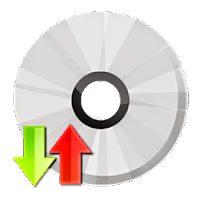 With this software you can open or close your CD/ DVD drive just by mouse click! Download the zipped folder from the link below. Double click to eject CD/ DVD tray, and click twice again to close it. Tips: If you're using Windows 7 or 8 then right click on it and select pin to task bar. Now you will see a quick link of this software on your task bar. And you will be able to close and open your CD/ DVD tray just by single click! How to View Saved Password in Firefox? How to View Saved Password of Google Chrome? How to Delete an OS by MSCONFIG? How to Create Backlinks for Blog or Website? How to Disable Automatic Update of Firefox? Postimage.org: Free Image Hosting Service!! Animated Greetings Card for Happy New Year!